Freddy Deeb (born Kassem Deeb) who is also known by his nickname "Fast Freddy" was born on November 27, 1955 in Beirut, Lebanon. He holds two World Series of Poker (WSOP) bracelets and one World Poker Tour (WPT) title. When he was 19 years old, Deeb immigrated to the States from Lebanon. He was studying at Utah State University when the civil war broke out in 1975 in Lebanon and lost touch with his mother and father for two years. Because of this, he could not receive their financial support while he was at school. He was hurt financially and could not get any employment because he was on a student visa, so he started gambling. He could not complete his studies and was forced to quit only 12 credits short from graduating and receiving a Mechanical Engineering degree. Deeb has won two WSOP events. His first was in 1996, where he defeated Gabe Kaplan, David Grey, Mickey Appleman, Doyle Brunson and others to win $146,250. His second one was in 2007, where he won $2,276,832. He also played the World Poker Tour (WPT) events and won the WPT Ultimate Poker Classic tournament in 2005 to take home $1,000,000. He also made appearances in the Poker Superstars Invitational Tournament and GSN's High Stakes Poker. 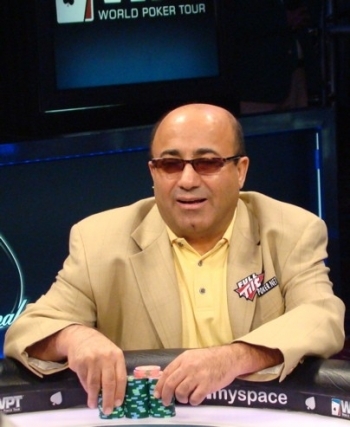 Deeb usually wears shirts with various colors on them and one of his shirts became famous at the 2003 WSOP. During the tournament, Deeb was holding pocket Kings and decided to go "all-in" against his opponent then, Phil Ivey. After the flop, Ivey had three sevens and was leading Deeb's pocket Kings, but then the turn card gave Deeb another king and he eventually won the hand. Ivey later stated that Deeb probably won that hand because of the shirt, but the interesting part was that in the 2004 WSOP event, Deeb defeated two players with the same hand and the same shirt. This shirt is now known as the "magic shirt". As of 2008, he has won over $5,900,000 in live tournaments only. He is married, has four children and they all currently live in Las Vegas, Nevada.